Whether you’re shopping for the perfect gift for your billiards-aholic loved one, or looking for a way to spruce up your own game room, explore the varied game room accessories available. One favorite is a set of Tally Balls, sometimes called “peas” or “pills.” They are used for a variety of game room games, like special pool shooting game Kelly Pool and a variety of other games that are off the beaten path. 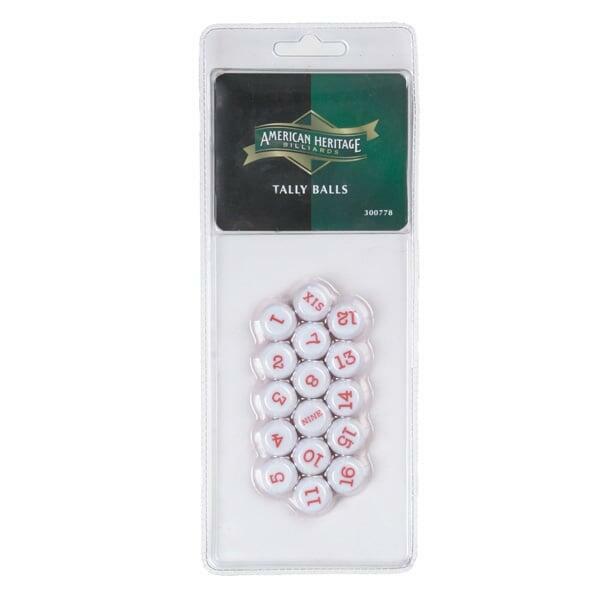 Sometimes people become all too familiar with the classic billiards games, and the improvisational Numbered Tally Balls by American Heritage can help you to shake things up in your home game room. The featured pills are durable, plastic balls that are numbered 1-15. Open your minds to a new way of gaming!